The metaphorical term “swan song” means the final performance or activity of a person’s career. 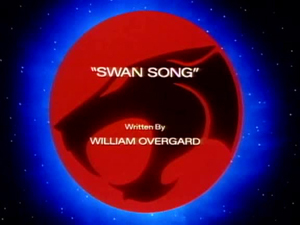 So the title of this episode is misleading at first glance, as this is neither the last installment of the ThunderCats series, nor is it the last episode written by William Overgard. However, the audience soon learns that it is an apt moniker for this episode once its meaning within the context of the story is revealed. No Overgard script would be complete without the introduction of a new character. Enter the Ecology Inspector, a slightly chubby middle-aged man whose job is to make sure that the air, land and water on every planet stay clean. 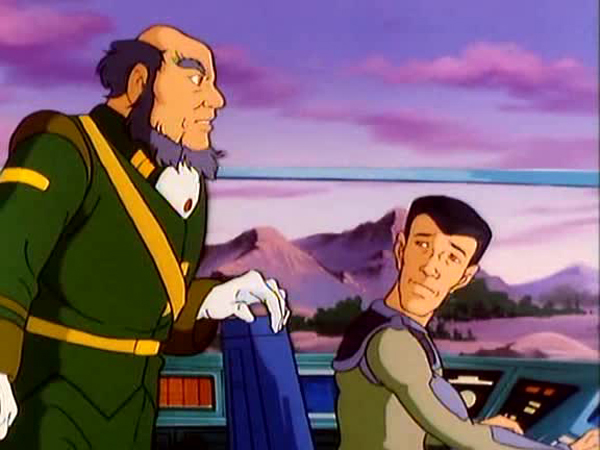 This “environmental health inspector” is on his way to New Thundera to ask the ThunderCats to help him apprehend Two-Time, the evil robot who has been poaching endangered species as well as land masses. Unfortunately for the inspector, Two-Time is expecting him. 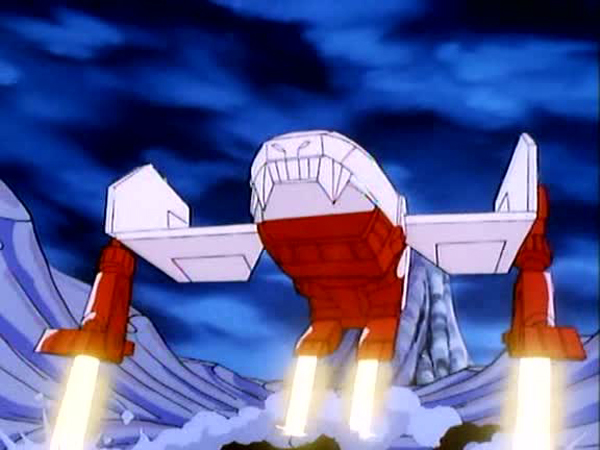 Using his mighty ship Dome-Down’s holographic projector, the two headed robot tricks the inspector and causes his ship to crash in the Mountains of the Moon.The ThunderCats suffer the same fate at the hands of Two-Time when they arrive at the scene in the Feliner. The contented robot then dumps a large quantity of sludgy waste on the damaged Feliner before flying off in his gigantic ship. 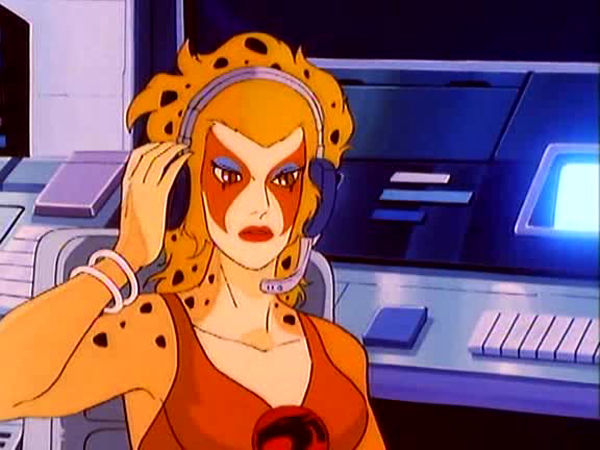 The ThunderCats salvage parts from the Ecology Inspector’s ship to repair the Feliner and then pursue Two-Time. They are shocked to their core when they see, or rather don’t see Cats’ Lair. 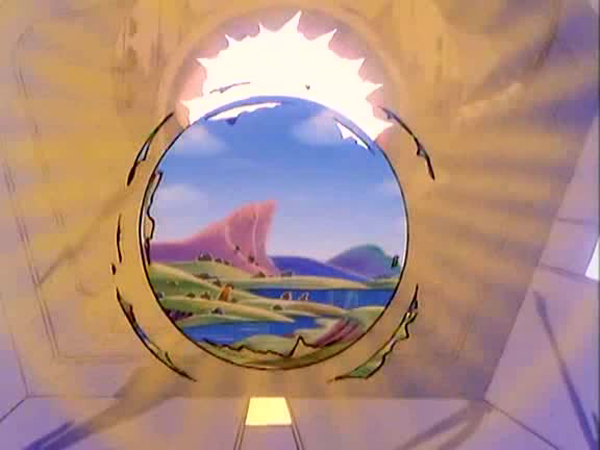 It turns out that Two-Time has grabbed the entire ThunderCats fortress using Dome-Down, ripping it clean off its foundation, with Snarf and Snarfer still inside. 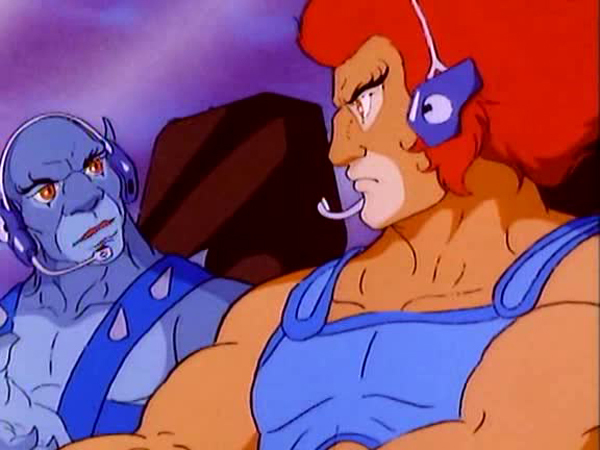 The ThunderCats sneak inside Dome-Down but find themselves over their heads, or more correctly, on their heads, thanks to Two-Time using his reverse gravity field on them. Eventually, the Sword of Omens rescues the day by spinning and throwing Two-Time out of Dome-Down like a shot-put. 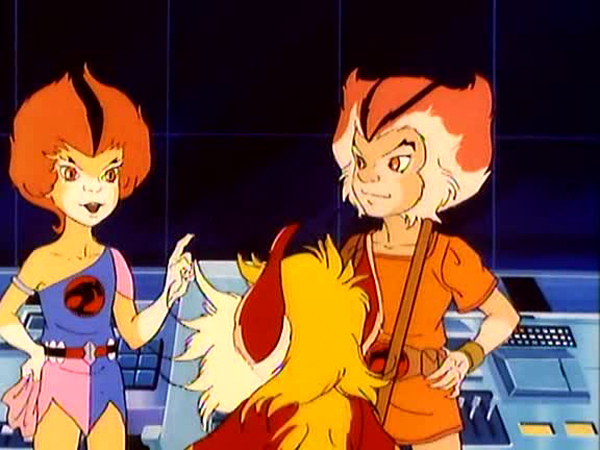 Browsing through Overgard’s ThunderCats episodes reveals his fixation on space adventures populated by quirky characters. “Swan Song” also falls into this niche, yet Overgard’s sincere and restrained approach makes it stand out as a mature and very well written episode. Unlike some of his other scripts such as “Cracker’s Revenge” and “Exile Isle”, the writer does not go overboard with this narrative. 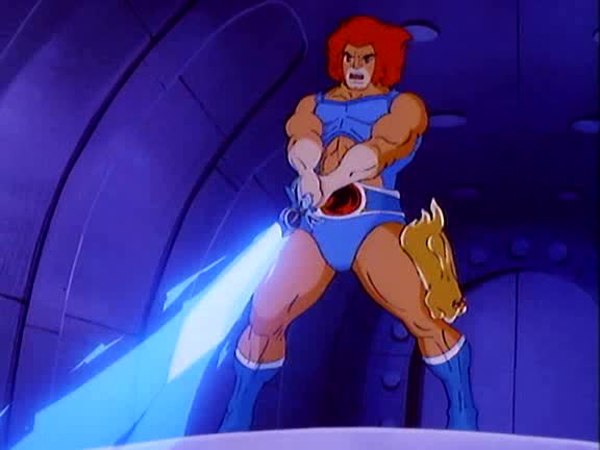 While Einstein wouldn’t agree with the physics on display in “Swan Song”, the concept of stealing natural resources doesn’t sound that far-fetched in the context of the ThunderCats universe. In fact, the idea could work just as well in a sci-fi movie. The action scenes are also well handled and the crash landing of the Feliner is a particularly gripping sequence. 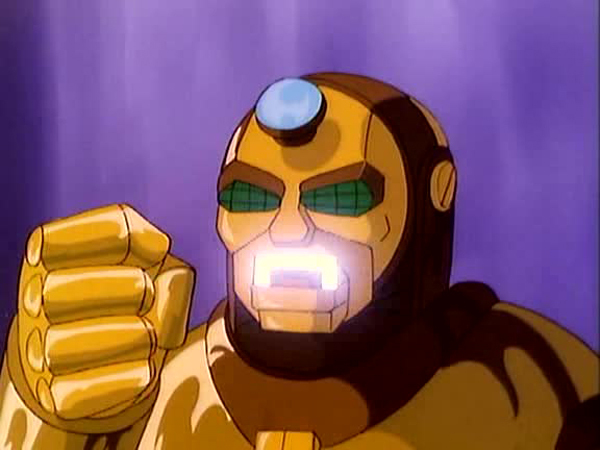 The only quibble about the episode is the lack of a battle sequence between Lion-O and Two-Time. 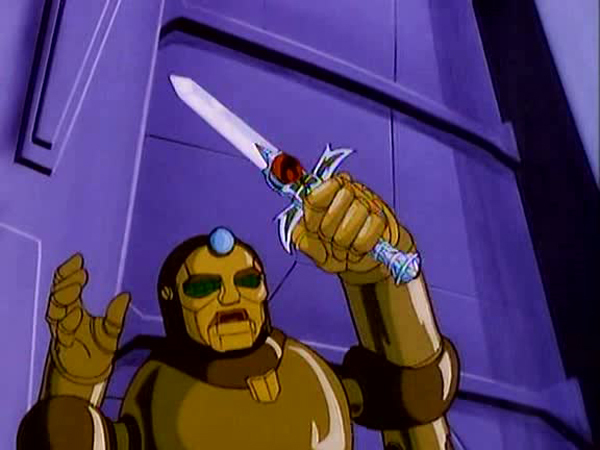 Overgard instead chooses to cut short the climax by making the Sword of Omens quickly dispose of the villain. Overgard takes the theme of environmental conservation and sculpts an interesting story around it, adding action, drama and just a pinch of humor, while Pacific Animation Corporation (PAC) bring it to life with their brilliant animation.. The result is a highly entertaining and educational episode which delivers an important message to its audience without pontificating or forcefully shoving it down their throats. In one scene we see Snarfer reading a comic book which has a picture of a Snarf dressed as a superhero on the cover, complete with an eye mask and a cape! The Ecology Inspector’s spaceship and the Feliner both crash in the Mountains of the Moon, an area that has super strong gravity and requires anti-gravity boots to navigate. Yet the ThunderCats, the inspector, and his pilot move about freely without any such gear. 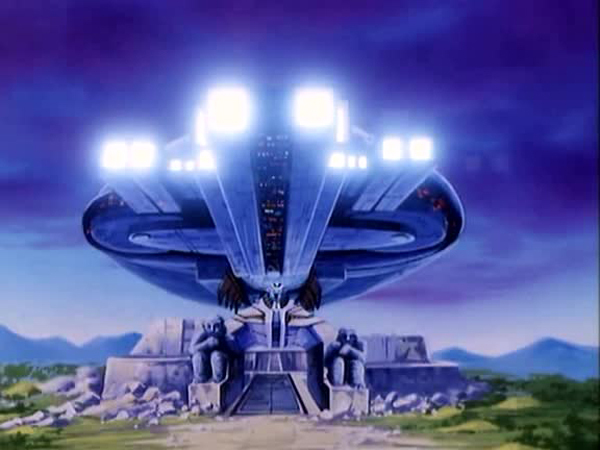 It turns out that Panthro enjoys golfing when he reveals that he would like Dome-Down to transport a Space Golf Course to Cats Lair.